While dealing with a Civil Appeal No. 4506 of 2014 (arising out of SLP (C) No. 33244 of 2012) in KakaliGhosh vs. Chief Secretary, Andaman & Nicobar Administration And Ors, a Supreme Court Bench of Justices S J Mukhopadhaya and V GopalaGowda held that a woman employee of the central government can get uninterrupted leave for two years for childcare, which also includes needs like examination and sickness.An appeal was directed against the judgment dated 18 September 2012 passed by the High Court of Calcutta, Circuit Bench at Port Blair. Setting aside the judgment and order dated 30 April 2012 passed by the Central Administrative Tribunal Calcutta, Circuit Bench at Port Blair, the Division Bench of the Calcutta High Court by the impugned judgment allowed the writ petition. The question, which was posed by the Appellant through an appeal, was whether a woman employee of the Central Government could ask for uninterrupted 730 days of Child Care Leave under Rule 43-C of the Central Civil Services (Leave) Rules, 1972. (1) A women Government servant having minor children below the age of eighteen years and who has no earned leave at her credit, may be granted child care leave by an authority competent to grant leave, for a maximum period of two years, i.e. 730 days during the entire service for taking care of up to two children, whether for rearing or to look after any of their needs like examination, sickness, etc. (2) During the period of childcare leave, she shall be paid leave salary equal to the pay drawn immediately before proceeding on leave. (3) Child care leave may be combined with leave of any other kind. (4) Notwithstanding the requirement of production of medical certificate contained in sub-rule (1) of Rule 30 or sub-rule (1) of Rule 31, leave of the kind due and admissible (including commuted leave not exceeding 60 days and leave not due) up to a maximum of one year, if applied for, be granted in continuation with child care leave granted under sub-rule (1). (5) Childcare leave may be availed of in more than one spell. The Supreme Court after perusal of circulars and Rule 43-C stated that it was clear that CCL could be availed by a woman government employee having minor children below 18 years for maximum period of 730 days i.e. during the entire service period for taking care of up to two children. The Bench was of the view that care of children was not for nurturing the smaller child but also to look after their needs like examination, sickness etc. From plain reading of Sub Rules (3) and (4) of Rule 43-C it was clear that CCL even beyond 730 days can be granted by combining other leave if due. 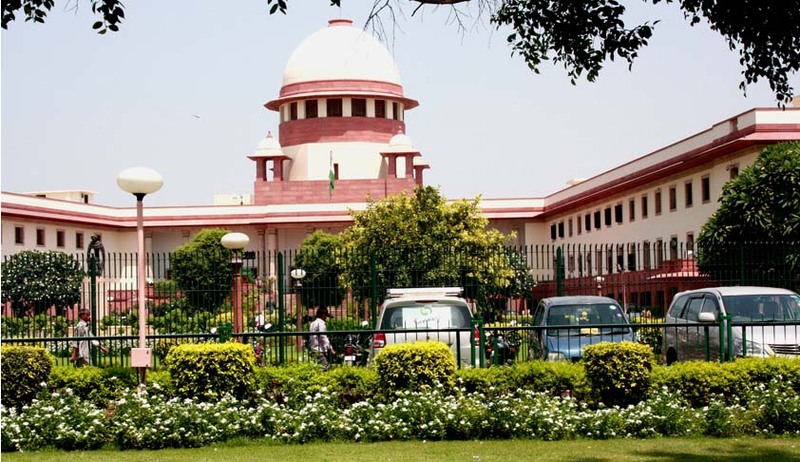 The Apex Court opined that the finding of the High Court was based neither on Rule 43-C nor on guidelines issued by the Central Government and the Tribunal was correct in directing the Respondents to act strictly in accordance with the guidelines issued by the Government of India and Rule 43-C. The Supreme Court stated that in order to make sure that her son succeeded in the upcoming secondary/senior examinations, the Appellant claimed for 730 days of CCL at a stretch. It was not in dispute that son was minor below 18 years of age when she applied for CCL, as it was obvious from the fact that the competent authority allowed 45 days of CCL in favor of the Appellant. However, the competent authority did not show any reason for cancelling rest of the period of leave.Stating that no reason was shown by the Respondents to refuse 730 days continuous leave, the Apex Court Bench held that the grounds taken by them and as held by High Court cannot be accepted and thus it set aside the impugned judgment dated 18September, 2012 passed by the Division Bench of Calcutta High Court, Circuit Bench at Port Blair and confirmed the judgment and order dated 30April, 2012 passed by the Tribunal. The Bench allowed the appeal and directed the Respondents to comply with the directions issued by the Tribunal within three months from thedate of receipt/production of the judgment.